With over 43 million downloads WooCommerce powers 28% of all the e-shops worldwide. Even though it is a WordPress plugin it has advanced functionality the majority of pure eCommerce platforms would only dream to have. If WooCommerce is the platform to which you seek to migrate, this is the smart choice and you can rest assured the e-business will be in the right hands. But first get store’s data imported. There is a great alternative to manual transfer and expensive developer hiring. Import to WooCommerce is effortless with Cart2Cart but before you press “Start Free Demo” button check whether the new store has the necessary plugins installed. Make sure it supports all the categories and functions for the transfer. A few points to check and we’re ready to go! WooCommerce is a free eCommerce plugin by WordPress. It was developed as a perfect solution for those business owners who already manage e-page or blog on WordPress and have decided to try selling online. Nowadays WooCommerce has evolved into extendable, adaptable robust shopping cart. Besides, Woo is an open-source solution and its code is visible and can be changed and contributed the way you or the tech team finds necessary. This fact makes WooCommerce one of the most flexible platforms. Click here for more details on Woo-benefits and find out Why WooCommerce is Best eCommerce Platform? Go through the 9 aspects below to make sure WooCommerce store is ready for the import of the required info. Start with a complete backup of your existing online store. Automated migration to WooCommerce won’t interfere with the current store performance and won’t affect its data as the service duplicates the entities to the new store. All the available resources on data import still recommend creating websites backup once any manipulations with the web page information are introduced. So to say, to play safe. Once you are migrating to WooCommerce from Magento, VirtueMart, OpenCart, PrestaShop, CS-Cart, Zen Cart, and some other platforms, Cart2Cart offers unique opportunity to release your clients from additional headaches recovering their old passwords. Check the full list of cards where passwords import is supported visiting Cart2Cart Passwords Migration page. To migrate passwords to Woo, install Cart2Cart WooCommerce Passwords Migration Plugin and choose the additional option “Migrate customers' passwords” while setting up the data import, pleasant surprise - both of them are free of charge! Check detailed instructions on how to make the necessary settings. Of course, you can notify customers that the store has now a brand new look and once they try to login to their accounts, clients will be able to use their old passwords. Show you care and value their time. Does the old store offer content in various languages? You’re moving in the right direction here - according to the research 52,4% of consumers prefer to make purchases on the websites exclusively in their own languages. Migrating to WooCommerce take this e-shop advantage with you. 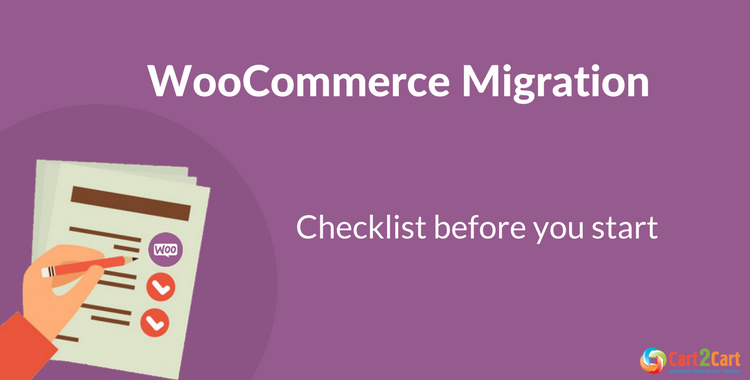 Explore the list of Source Carts where Multiple Languages Migration to WooCommerce is supported. To migrate multiple languages to WooCommerce install the WordPress Multilingual Plugin (WPML) plugin that will ensure that Woo-site has the functionality to create and manage multilingual webpage. Click for the detailed guide on how to install the extension. Moving to another shopping platform might significantly influence SEO positions. But! If performing data import via Cart2Cart you can select two extra functions that will minimize the replatforming impact on search engine rankings. First of all, we recommend selecting the additional option “Create the 301 redirects on your target store after migration” that will keep the old links working after the transfer. Because Woo is all about plugins and you’ll need to install additional Redirection plugin before the transfer. Setting details are included in the guide. Secondly, additional option “Migrate categories and products SEO URLs” will enable preserving the URLs of the Source Cart. Plus, you will be able to transfer meta titles, keywords and descriptions to Woo. Install a free WordPress SEO Plugin before launching Full Migration. For more information on URLs formation within WooCommerce platform check Cart2Cart guide on How to Build a Proper WooCommerce URL Structure. To import manufacturers to WooCommerce install either of the two extensions - available from WordPress.org (free) or WooThemes.com (paid). The first extension is free, the second - paid, both of them will enable migration of manufacturer images. Don’t forget selecting this category while setting up the migration and import information on the manufacturer of each product in the store database, including name, description, URL, meta title, meta keywords, meta description. Note, if you didn’t manage to install the module before the migration but have chosen the category “Manufacturers” during the migration to WooCommerce, activate the module afterward and get the required entities on the new store. If you want to offer the customers additional product personalization options, set up WooCommerce Product Add-Ons plugin. This way you’ll be able to transfer the existing product variants to Woo-store and help the client choose the goods that suit their requests perfectly. What are product variants? These are the specific items, grouped with the related variants that together form a product. For example, the medium-sized pink cotton T-shirt is one variant of a product that consists of three options - size, material, and color. Preserving order IDs is inevitable after the replatforming, otherwise, how can you make it all out? We understand the significance of this aspect and offer the extra option “Preserve order IDs on the Target Store”. Don’t forget to select it while launching the migration. To save order IDs after the transfer, install the free WooCommerce Sequential Order Number module. Besides, if you’ve forgotten to install the app before data import but have chosen the option, do it afterward and have the issue solved. For the import of custom order statuses to WooCommerce make sure you have free YITH WooCommerce Custom Order Status plugin installed. While launching data import, you can map order statuses from the Source Cart and set the corresponding relations. To simplify the process of data migration to WooCommerce find the necessary Cart2Cart Migration Plugin picking the pair with the shopping cart you’re exporting content from. For example, if you’re migrating from VirtueMart, install Сart2Cart: VirtueMart to WooCommerce Migration Plugin. You can also import the data to WooCommerce without installation of the plugin. In this case, you’ll have to set up the Connection Bridge to your Woo-store root folder yourself. You can always contact Cart2Cart Support Team to assist you 24/7. The video below will help to delve into the process of data migration to Woo-platform. Check how simple it is and let us know your opinion. Congratulations! The store is equipped for the transfer and has all the necessary capabilities. Go through the simple 3-step procedure of launching data import and after a few hours, the enhanced store on a robust eCommerce solution will be ready to welcome the visitors. You’d wanted to see their admiring faces, wouldn't you? Don’t forget! Cart2Cart Support Team is ready to give any additional information and answer the questions that might be unclear. Key benefit - explore the procedure with Free Demo and see that your business craves for Woocommerce import!